If you would like your own ripe, red tomatoes this summer, freshly-picked from your garden, the time to plant them is now. In addition to companion planting, and growing in healthy soil, look for tomato varieties that will thrive in the brutal heat of a South Texas summer. Look for tomato varieties that 1) mature quickly, and 2) are tolerant of high heat. In South Texas, we go from freezing cold to burning hot very quickly. Tomatoes will not set fruit if the night-time soil temperature is below 55 degrees, or above 70 degrees. So, we need to make the most of the warming period between winter and summer to grow tomatoes. Plant Early Girl, Cherry Sweet and Cherry 100, and Juliette; these will mature within 50 days and begin delivering tomatoes very quickly. Also plant heat-tolerant varieties, such as Solar Fire, Heatmaster, and Heatwave. These varieties produce when nighttime soil temperature is slightly above 70 degrees, and allow you to get tomatoes even when the weather gets very hot. Bury the tomato transplant deeply, about 2/3rds of the way into the ground. Each of the tiny hairs down the stem is a potential root, and planting the tomato deeply helps maximize the root strength of the plant. The more vigorous the root system, the more prolific the plant will be. Before you bury the transplant, throw a handful of homemade wood ash, and another handful of crushed oyster shells, into the bottom of the hole. Wood ash is rich in potassium, and potassium helps unlock the sugar molecules in tomatoes. 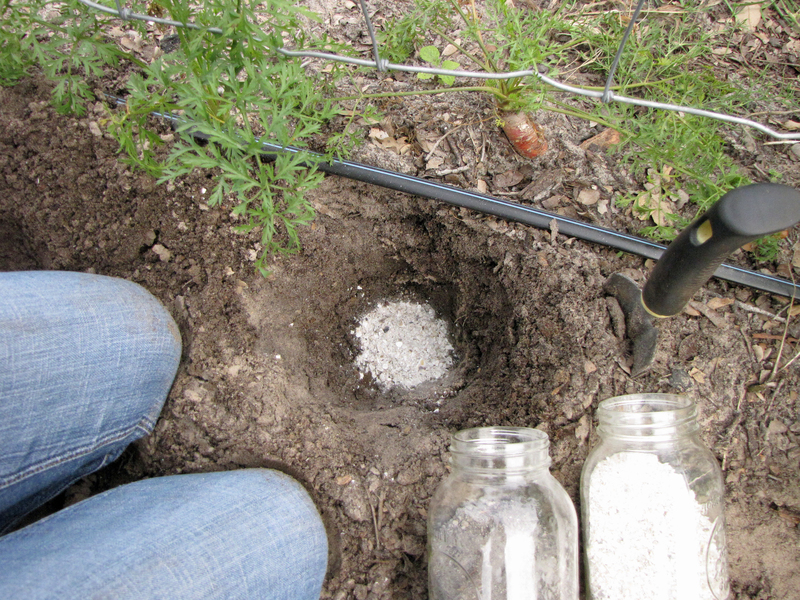 Homemade wood ash is the absolute secret weapon for growing the sweetest, most flavorful tomatoes. But use only wood ash from native trees; pecan, live oak, or mesquite. Crushed oyster shells are rich in calcium; they help prevent blossom end rot in tomatoes, which is a common problem in South Texas gardens. After you bury the transplant, sprinkle another generous handful of wood ash and crushed oyster shells around the base of each tomato plant. Next, dust the plants with stone ground corn meal to prevent the fungal diseases that cause yellow or black spots on tomato leaves. Corn meal stimulates the natural microorganisms that eat and destroy fungal diseases. Grocery store corn meal won’t work on your plants because it’s too highly processed. Look for horticultural corn meal from a feed store or nursery. 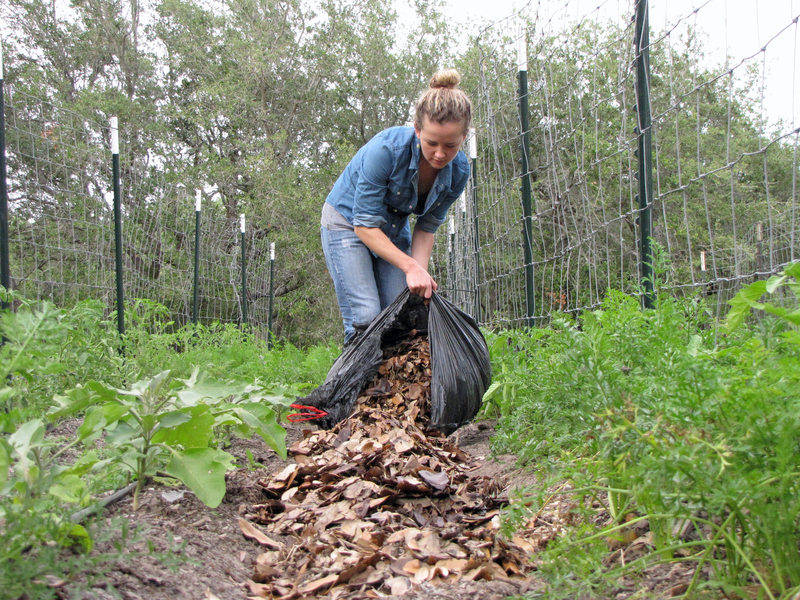 Mulch your tomato plants thickly with native leaf mulch. Use leaves from live oak, pecan, or even mesquite trees, whatever you can easily rake up in your neighborhood. As the weather turns hotter, continue to add native leaf mulch until it is twelve inches thick over your plants. This ultra-thick layer of leaf mulch will keep the soil cool and moist, and keep your tomatoes producing even in the hottest weather. The average tomato plant yields about 5 to 20 pounds of tomatoes during a season. However, by using these ancient, inexpensive, and highly effective techniques, you can produce 50 pounds or more of delicious tomatoes from each of the plants in your garden. Justin Butts is a local farmer and business owner of Four String Farm in Rockport.